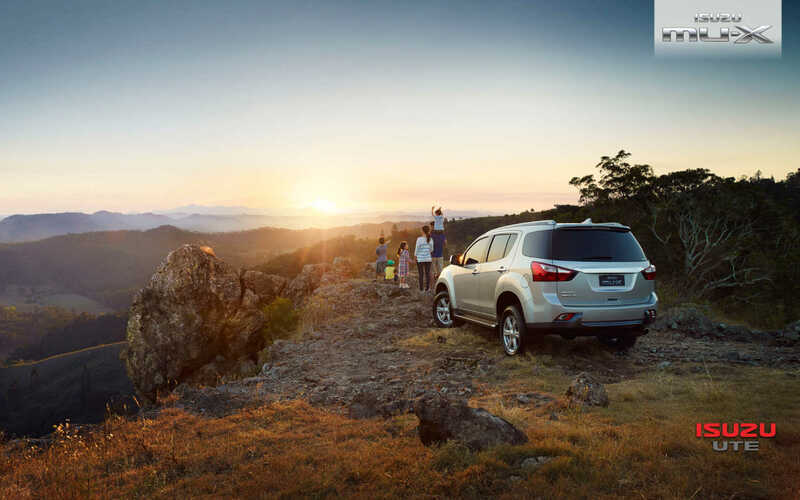 This is an SUV that’s made for passengers, and for adventure. 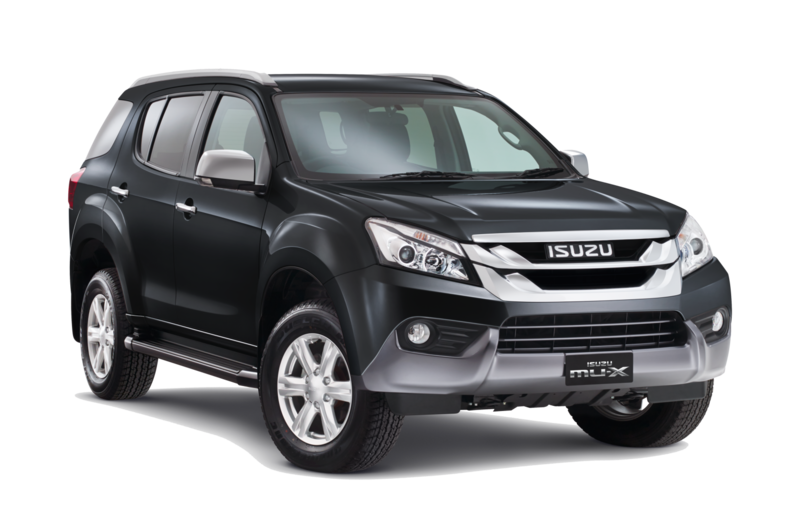 Whether you’re navigating the city or exploring this SUV’s 4WD capabilities off-road, you’ll enjoy a smoother, more enjoyable ride in the seven seat Isuzu MU-X diesel SUV. Loaded to the hills with safety features including Reverse Camera, 6 Air Bags, Traction Control and Electronic Stability Control. The rear DVD system joined by Rear Air Conditioning will keep the family happy on those long trips! rating to take your boat or caravan on any journey. DVD/AUX/USB, Bluetooth Connectivity, Electric Mirrors, 50/50 Split Folding Third Row, ISOFIX, 20 Alloy Wheels, Projector Head Lights and Cruise Control. 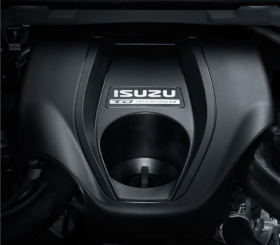 Isuzu are the diesel specialists and know that the secret to producing reliable and efficient power is to have a large capacity, under stressed engine. Whether you're taking your family on holiday, towing a trailer or travelling up-hill, the famous Isuzu flat torque curve gives you fast, smooth acceleration when you need it. 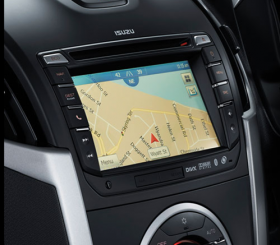 Our premium touchscreen system offers an amazing level of versatility that allows you to switch between answering calls, playing music or finding your way home via the built in SAT NAV GPS system at the simple tap of a screen. 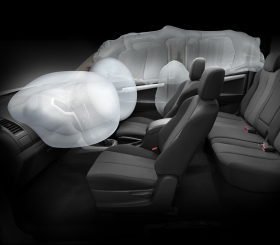 Six airbags come as standard, dual front, front side and full-length curtain – to keep passengers on both sides of the car safe. Front seatbelt pre-tensioners pull back when the airbags are activated, for extra safety. 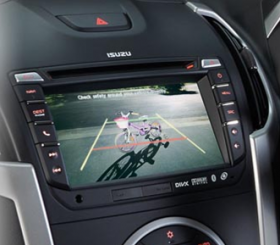 Parallel park or hook up the trailer with ease, reverse out of tight spots and watch out for any obstacles behind you thanks to a reversing camera situated in the rear of your MU-X. You won’t know how you did without it.